All too often, drivers either ignore railroad crossing warning signs or assume the warning doesn’t apply to them. Yesterday, four people lost their lives and seven people were critically injured after a bus that was stuck on railroad tracks was hit by a train. This wasn’t the first crash involving a stuck vehicle and a train at that railroad crossing. Just two weeks ago, a Pepsi delivery truck became stuck at the same crossing but, fortunately, no one was injured in that crash. 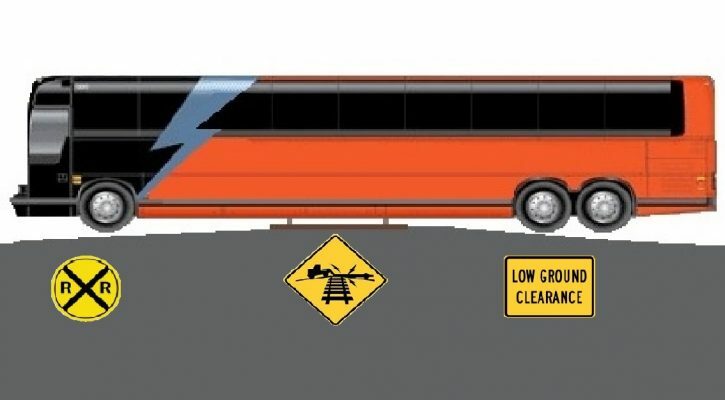 Many railroad grades have steep sides that make it dangerous for vehicles such as semi-trailers and buses that have very little ground clearance. Even some cars that have been modified can become stuck at these crossings. One of the mistakes made in this instance was that the bus driver failed to immediately evacuate the bus as soon as he became stuck. Instead, a few people got off but most remained onboard while the driver tried to move his bus off the tracks. Had the bus been evacuated and the people moved far away from the tracks, the loss of life and injuries could have been minimized. It’s important to remember that a fully loaded freight train carrying a lot of weight can take up to a mile before it can be brought to a complete stop. When approaching railroad crossings, look at and pay attention to all of the warning signs. If you think your vehicle may not make it across, turn back and look for another nearby crossing.